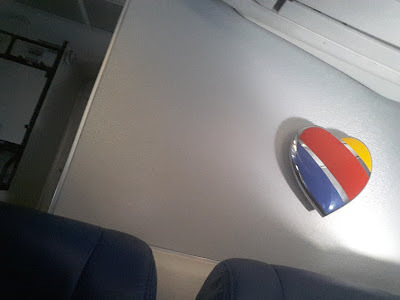 • The Link: "Flying back from a friend's wedding, I noticed the heart while the couple sitting next to me took dozens of selfies with it in the background (he also read a gun magazine and she drafted emails to the hospital staff, but that's besides the point). I've been looking for hearts for the past day or two, especially while crossing the border from the U.S. to Mexico and back again on foot, reflecting on the lines that shape each of our lives. Sending love to you, Jenn!!"